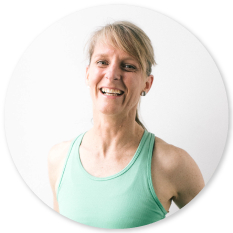 Kath is the owner of the Moonee Ponds Aligned for Life Pilates studio. Since 2005 she has been working closely with clients from around the Moonee Ponds and Essendon area, helping them to achieve their health and fitness goals and rehabilitate from various injuries and conditions. As an accredited exercise physiologist and a faculty educator for National Pilates Training, her wealth of knowledge is vast. For Kath, the Pilates Method is movement for life. She has seen first-hand Pilates’ ability to actively challenge all joints, through their full range of movement, with precision and control. This, combined with the ability to vary load and ROM, is what she knows makes the Pilates Method ideal for the prevention and treatment of musculoskeletal injuries and conditions. It is deeply satisfying for Kath when she can help a client move freely and without pain, so they can fully participate and enjoy life once again. Kath’s passion for the Pilates Method and movement for life, provides you with the ideal environment to begin your Pilates journey.